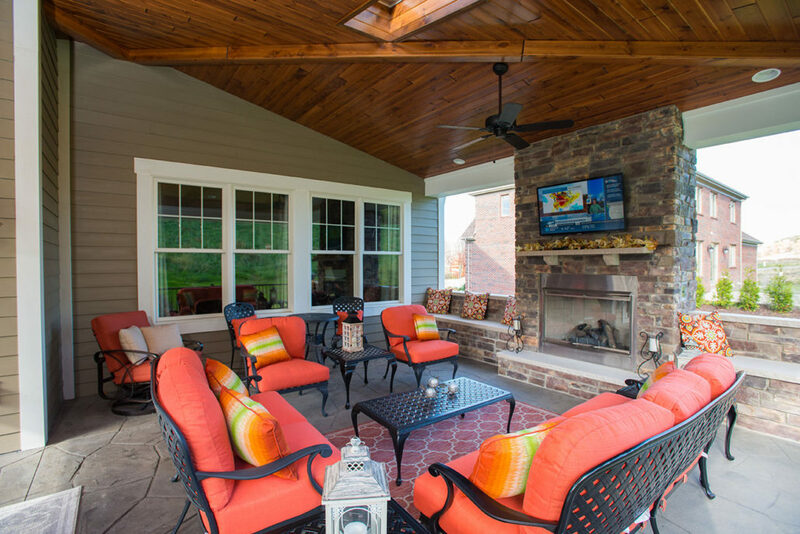 To enjoy more outdoor living and entertaining, these homeowners opted to add a rear porch open on two sides. This expanded living space features a lovely view of the back yard and all the amenities to make the most of the space, including a fireplace and fans for a longer season of use. 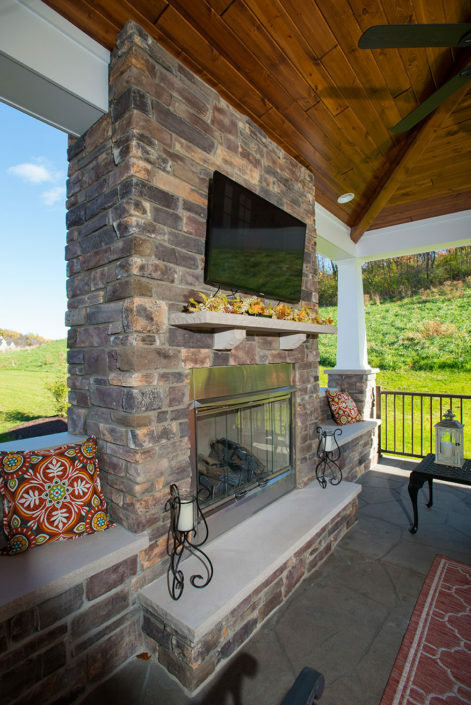 The porch also includes a complete outdoor kitchen and is wired for TV and sound. 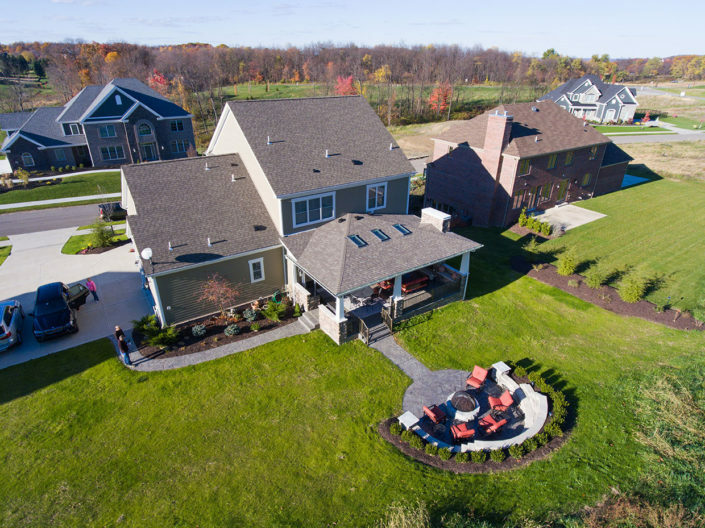 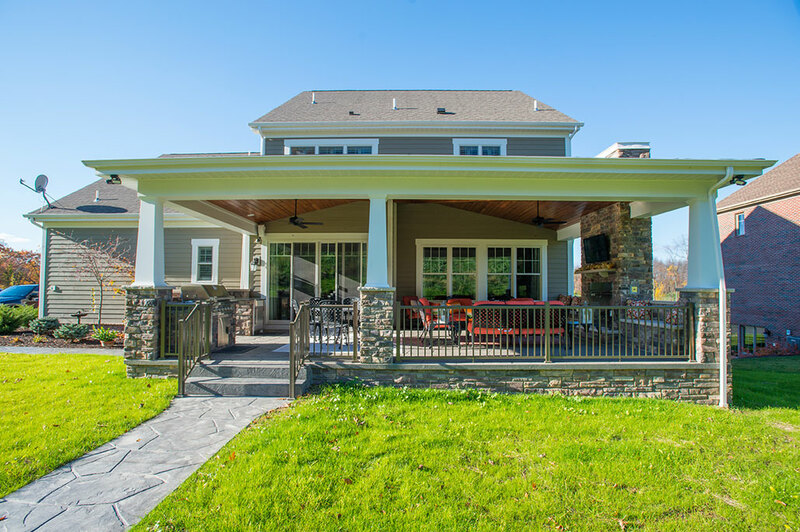 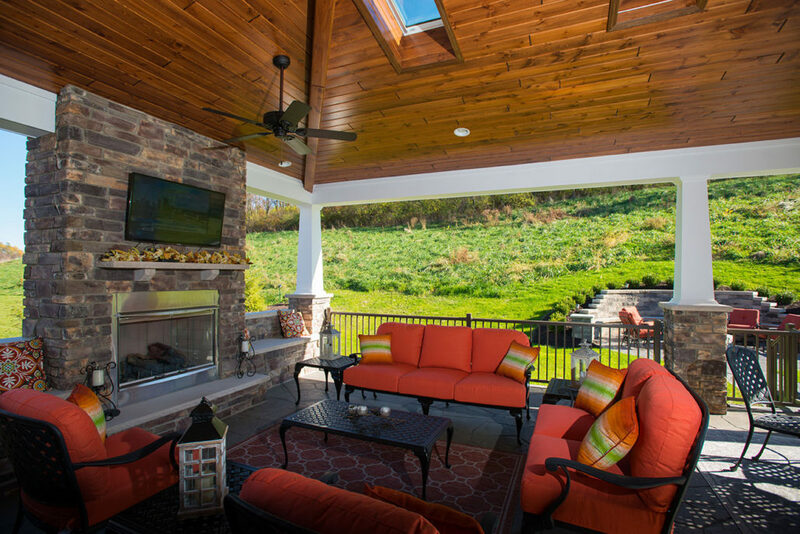 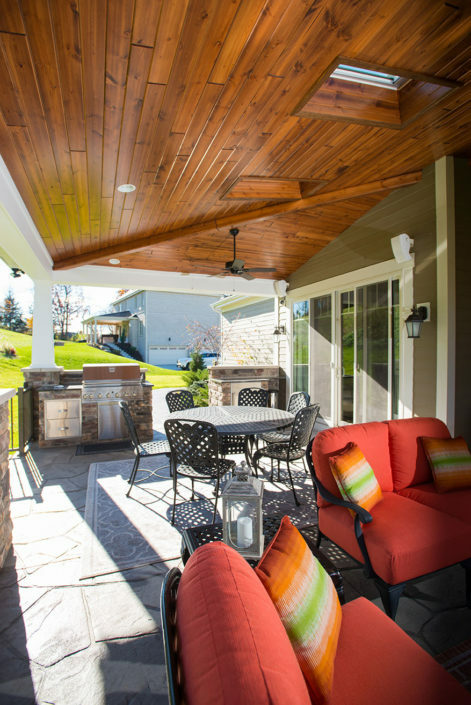 This project was built by TK Carpentry and Construction and won a Housing Excellence Award from the Builders Association of Metropolitan Pittsburgh for best outdoor living space.